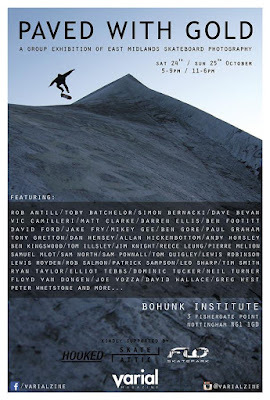 Tom Quigley who runs Varial Magazine has arranged an exhibition of East Midlands skate photography, which will be happening in Nottingham on the 24th and 25th of October. I'm lucky enough to have been asked to show some photos, along with a load of other photographers. Cheers for posting up, Rob!